We suggest you treat this information with care! The basis for the headlines is a set of data just published online by Haalan et al. in JAMA internal Medicine. What Haalan and his colleagues did was to use a series of detailed Norwegian databases to investigate whether there was any association between the use of warfarin (which is an anticoagulant or “blood thinner”) and the incidence of cancer in all persons born in Norway between 1924 and 1954 who were still living in Norway between January 1, 2006, and December 31, 2012. They defined warfarin use as taking this prescription drug for at least 6 months and there being at least 2 years from first prescription of warfarin to any cancer diagnosis. The primary study outcome was a cancer diagnosis of any type during the 7-year study period from January 1, 2006, to December 31, 2012. There were 1,256,725 people who qualified for inclusion in the study database. 607,350 (48.3 percent) were male. 649,375 (51.7 percent) were female. 1,163,783 (92.6%) were non-users of warfarin. 92,942 (7.4 percent) were warfarin users. 132,687 (10.6 percent) got cancer during the study period. The warfarin non-users tended to be younger (mean age, 63.9 ± 8.6 years) and female (613,803 = 52.7 percent). The warfarin users tended to be older (mean age 70.2 ± 8.2 years) and male (57,370 = 61.7 percent). Warfarin use may have broad anticancer potential in a large, population-based cohort of persons older than 50 years. This finding could have important implications for the selection of medications for patients needing anticoagulation. 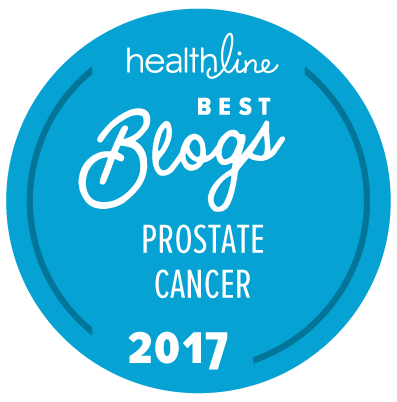 Specifically, if you are taking warfarin for some reason you may have a 30 percent (or higher) reduction in your risk for prostate cancer (of any type). Even if an anticoagulant of some type is needed, warfarin may not be the best or most appropriate option. It has to be carefully titrated to the right dose level over time. Patients on warfarin must have regular blood tests to check their warfarin levels. Other forms of anticoagulant may be safer and more convenient. The hypothetical basis for this study is that, in cancer models, warfarin inhibits AXL receptor tyrosine kinase-dependent tumorigenesis and increases antitumor immune responses at doses that don’t reach the levels of those needed for anticoagulation. But what if it is the anticoagulative impact that is responsible for lowering risk for cancer? In that case, any form of effective anticoagulant might lower risk for cancer. For those who need to be on warfarin therapy who don’t have cancer, this would appear to be good news. For others on other forms of anticoagulant therapy and who don’t have cancer, it may not be meaningful. And for the > 90 percent of people who aren’t on warfarin therapy, it doesn’t make any sense to start asking your doctor about this. Sits interestingly with the idea that some anti-coagulants might reduce Alzheimer’s risk as well. See this article in The Guardian and/or the original paper by Friberg and Rosenqvist. …and with the fact that ablation reverts stroke risk among AF patients to non-AF levels, in contrast to treatment with anticoagulants, as reported here. The data point in the reported paper that lung-cancer risk in a population that is taking warfarin for AF relative to a population taking it for other reasons is reduced 51% (!) has me looking for confounders rather than the anticoagulants I have in my cupboard. So a question for a study like this is: “Can it discard the hypothesis that untreated AF (and its hypothesised microclots) is a risk factor for cancer, as we know it is for stroke and apparently dementia?” If not, then the effect of the anticoagulants cannot be said not to be an artifact.